Every year, Washington DC uses more than 2 billion plastic bags and Seattle alone using 292 million plastic bags each year- a big number to be counted. Among this number used by Seattle, only 13 percent plastic bags are actually recycled. Most of the quantity is end up in Puget Sound where they are not biodegradable. These bags are broken down in to small pieces where they become hazardous to be used by marine life and animals like birds, marine mammals, turtles and fishes. During 2010, there were found 20 plastic bags in the stomach of a gray beached whale on West Coast. 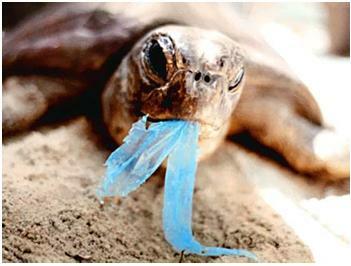 Plastic bags ban will work or not? On August 18, 2009, Seattle city struggles to be the next major city in the US to take political measures to reduce the consumption of disposable plastic bags. Last year, Mayor Greg Nickels proposed a 20-cent plastic bag tax that would be charged to consumers who used plastic bags supplied by the store. Customers that bring their own bags, whether they are old plastic bags or reusable shopping bags, would not be charged any tax. The idea is adverse of people to pay the tax and will begin to bring their own bags, which will reduce the city’s consumption of plastic bags in the long run. That measure was quickly passed by the Seattle City Council but was met with opposition from opponents, who received $1.4 million dollars in funding from the plastics industry. The majority of the funds came from the American Chemistry Council whose members include major oil companies and plastic bag manufacturers. Of course, this opposition is to be expected as these companies stand to lose a lot of money if the tax is passed. The opposition has been successful in forcing the issue to be decided by the general public in the vote scheduled for August 18. 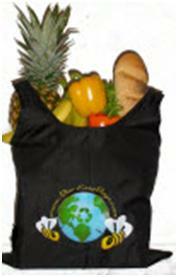 90 percent of all grocery bags used are plastic, which contributes to about 5 trillion plastic bags being used each year worldwide. We can’t do anything to un-do the damage that has already been done, but that does not mean that we can’t make changes for the future. Opponents of the plastic bag tax use a variety of tactics to try to convince people that the tax will be ineffective or will be unfair to low-income families. History has shown that similar anti-plastic bag campaigns can be successful in reducing plastic bag consumption. Of course, these same people also fail to recognize that they’re already paying for the use of plastic bags. Do they think grocers get plastic bags for free? Not really. They simply cover their costs for the plastic bags by adding a little more to the price of the foods they sell (which is also why a number of grocery stores offer a refund to customers who bring their own bags). Claiming that the plastic bag tax is unfair to low income families is equally transparent. When you consider that every reusable shopping bag can carry 2 to 3 times as much as a plastic bag and can be used for years before needed to be replaced, some simple math will show you that it will actually be cheaper for consumers to purchase reusable bags than to continue paying for plastic bags. Incidentally, the same argument can be made regardless of a plastic bag tax, so long as you shop at a grocery store that provides a refund for bringing your own bags – in the three years that I’ve been using reusable shopping bags, I’ve gotten more in refunds from grocery stores than I spent on the initial investment. 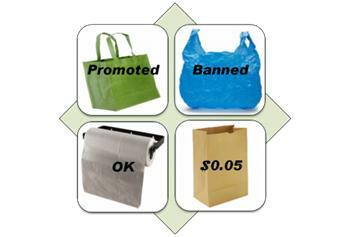 For more information about the Seattle Plastic Bag Tax campaign, you can visit the Green Bag Campaign website. If you aren’t a resident of Seattle but want to voice your opposition to plastic bags, you can sign the petition to eliminate the use of plastic bags at Target stores throughout the country. Of course, here at Reusable Bags Depot, we strongly encourage the use of reusable grocery bags, like our organic cotton bags in favor of disposable plastic bags. We hope that the voters in Seattle on August 18th echo our opinion. 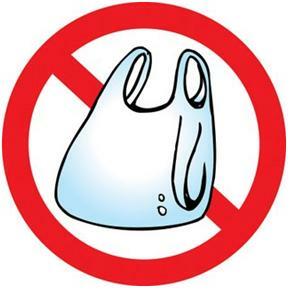 Please share your opinion (pro or con) on plastic bag taxes and/or government measures aimed at reducing plastic bag use below. We’d love to hear from you and get some conversation started about an issue that will likely be in the news in many more cities, states, and countries in the future. It is simple that how plastic bag ban will work. Retailers are prohibited to offer plastic carry outs and paper bags should be offered to only 5 percent of the population. The Seattle efforts are worthy to understand and many other cities of United States will encourage taking the similar steps.